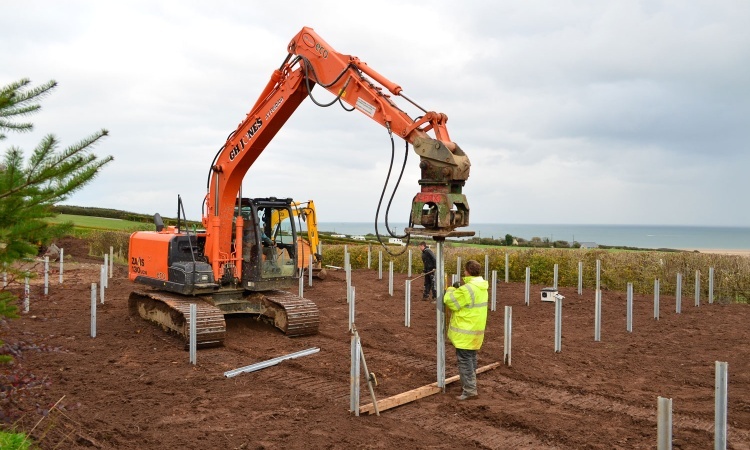 As a park, Tyddyn Isaf always strives to provide the best for our customers and its surrounding environment - sometimes this can take on very different guises. Here we share with you some information about some of our other projects. 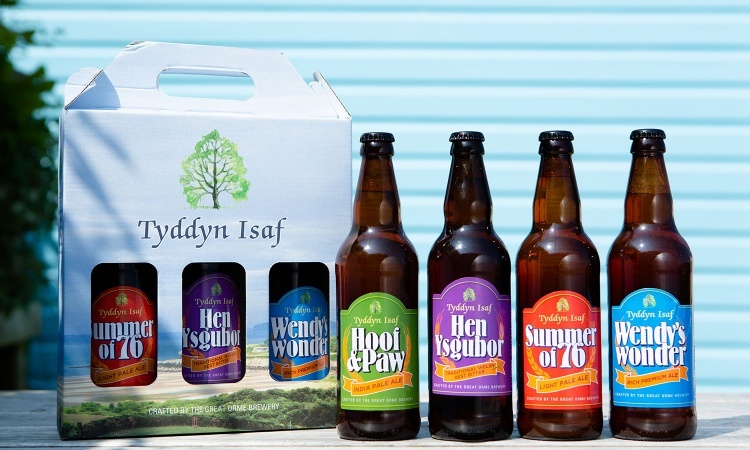 At Tyddyn Isaf we are firm believers in supporting local businesses and are proud to stock our own range of local ales and craft lager that are produced by The Great Orme Brewery. 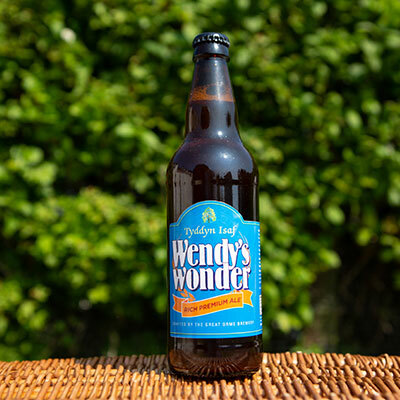 “Wendy’s Wonder” is a rich premium ale named in memory of Wendy Hunt. Without Wendy, Tyddyn Isaf would not have become the park that it is today. She sadly passed away in 2010 and we miss her greatly. “Hen Ysgabor” is a traditional bitter that takes its name from the main hub of the park. 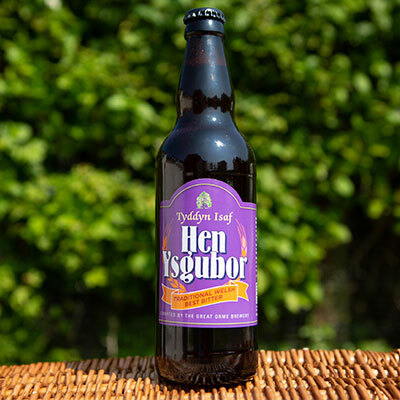 Hen Ysgubor literally translates to mean the old barn, and for over 40 years this has been the meeting place where guests can gather to regale tales of their holiday adventures. 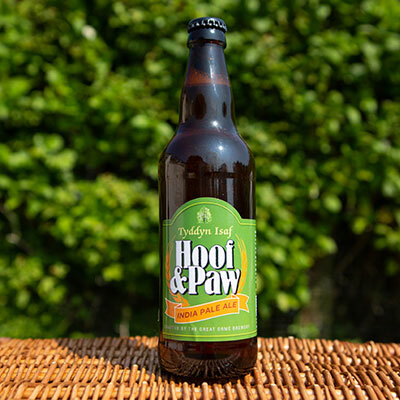 “Hoof & Paw” in an India pale ale paying homage to the agricultural background of Tyddyn Isaf. Tyddyn Isaf translates to mean lower small holding and over the years many a cloven hoof and paw have trodden the fields, from the horses of the 18th and 19th centuries, to the sheep and cattle that graze the land in the present day. 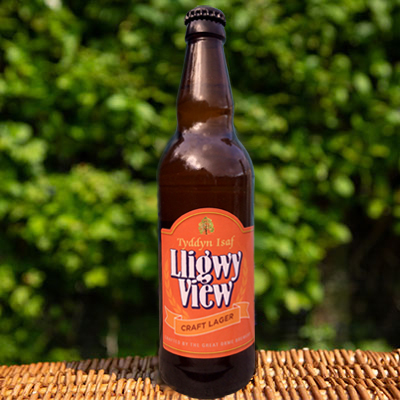 Our craft lager, “Lligwy View”, takes its name from the beautiful sandy bay that Tyddyn Isaf overlooks. Lligwy Bay is a large, gently shelving, sandy beach that can be accessed via our own private footpath. Many of our pitches benefit from our signature sea view, and guests can enjoy many a stunning sunrise during their stay with us. 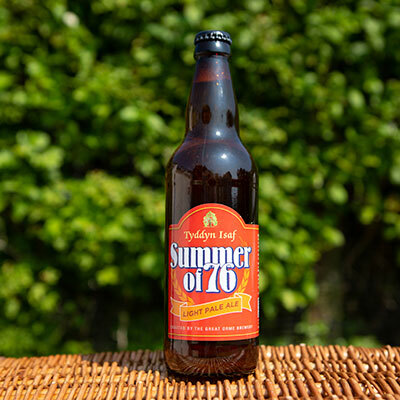 Our ales and craft lager are available on draught and in bottles from our restaurant and bar. Gift boxes may also be purchased in our park shop. The Great Orme Brewery was established by Jonathan Hughes in 2006 in an old Mill in Glan Conwy. Within two years business was booming and production moved to larger premises - an old sheep shed yards from the old mill. By 2014 the Brewery had outgrown the shed and moved into one of the oldest buildings in Llandudno – an 1860s former abattoir. The Brewery now employs 9 people and has grown to ten times its original size since 2006. The Great Orme Brewery has been awarded a number of accolades including Gold for its Welsh Black at the Great British Beer Festival. Farming lies deep in the history of Tyddyn Isaf. Tyddyn Isaf translates to mean lower small holding, and over the years many a cloven hoof and padded paw have trodden the fields. 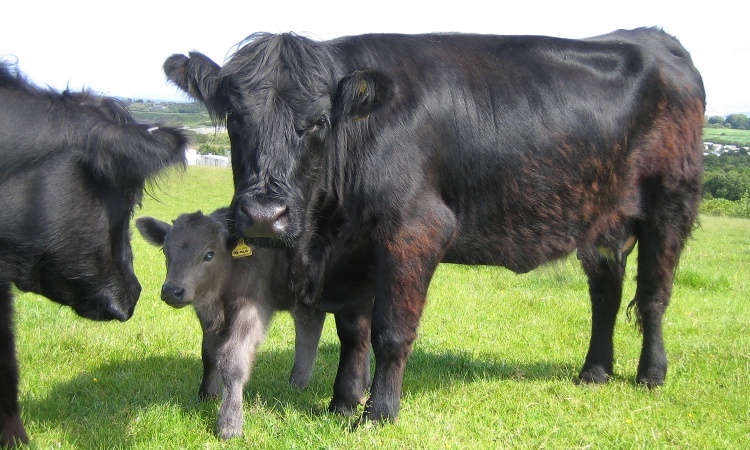 From the horses of the 18th and 19th centuries to the sheep and cattle that graze the land in the present day. 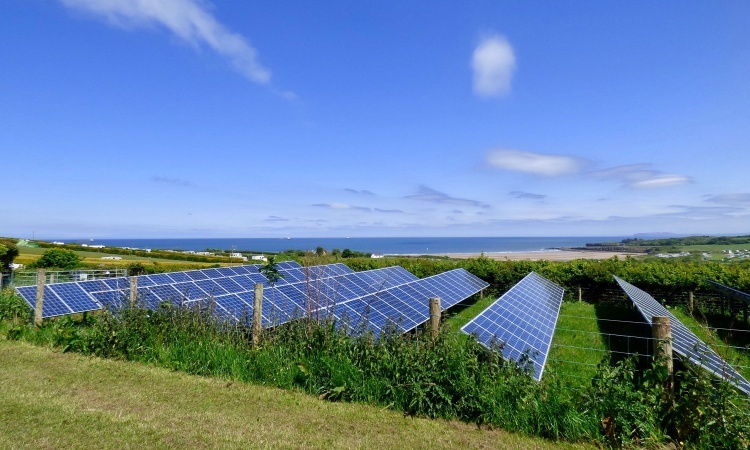 As part of our Environmental Policy, at Tyddyn Isaf Camping and Caravan Park we approach the management of our pastures in a traditional way as this is less intensive and promotes habitats for a greater variety of wildlife. 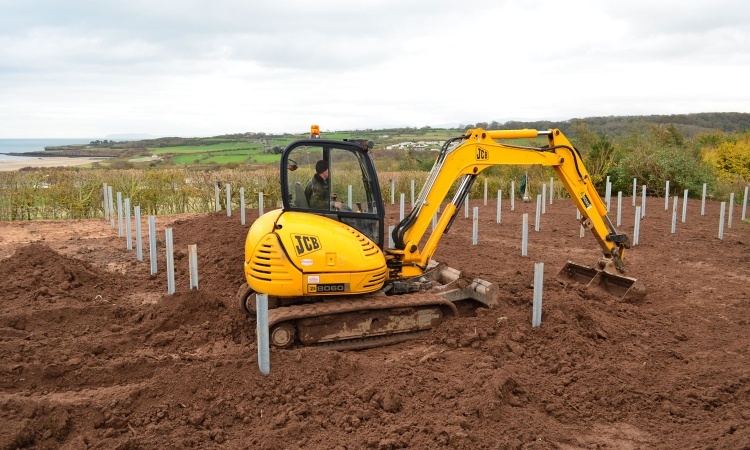 As you stroll around Tyddyn Isaf you may notice how we have tried to establish traditional small field sizes by reinstating natural hedgerows consisting of beech, hazel, maple, elderberry, crab apple, wild cherry, hawthorne, blackthorne, cotoneaster, lime, alder, mountain ash, dogrose, guelder rose, snowberry, dogwood and buddleia. 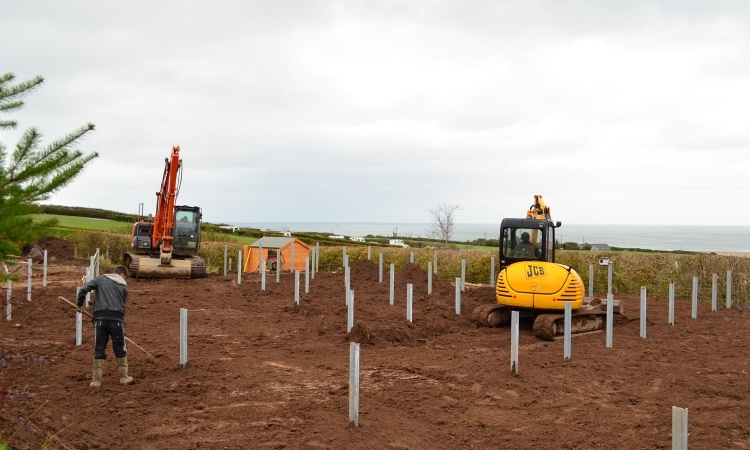 The park also maintains an additional 25 hectares of farmland which has been improved by planting a clover rich grass mixture. This high clover content increases the nitrogen fixation of the land thereby reducing the requirement for the use of artificial fertilisers. In 2014 we had some of our meadows assessed by the Welsh Government, who deemed them an excellent example of lowland meadows, and traditional hay meadows based on the huge diversity of plant species found within them. These meadows are grazed in rotation by sheep and our pedigree herd of Welsh Black cattle. 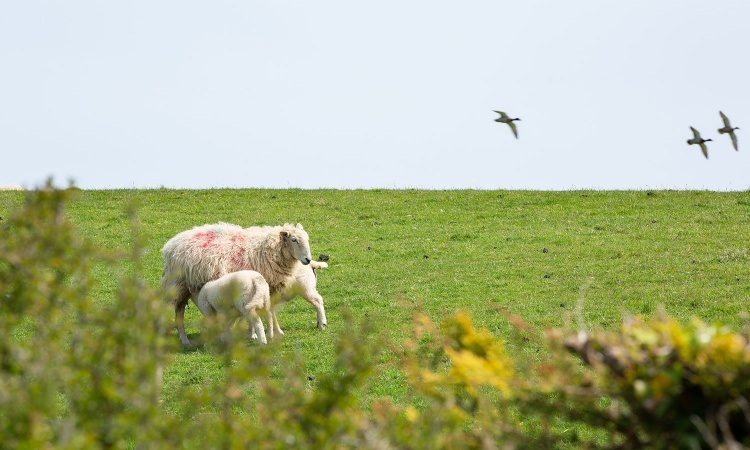 Guests can often bear witness to the lambs playing merrily in spring time, and young calves frolicking in the fields alongside Wendy Wood during the summer months. 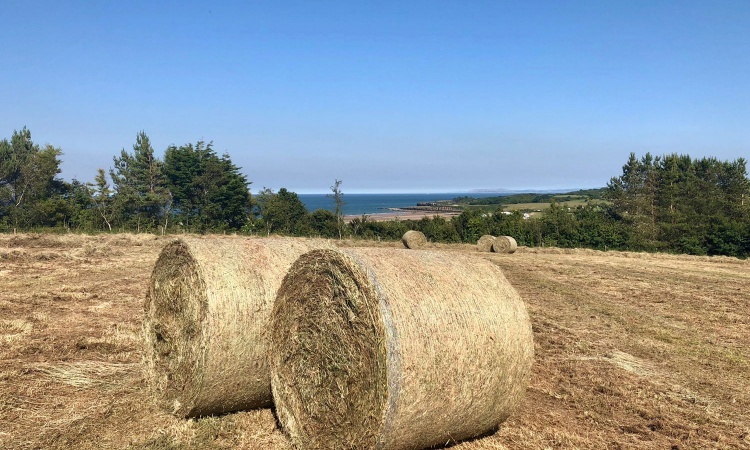 We graze our livestock on a rotational basis, ensuring that some fields are allowed to grow naturally as hay meadows for the duration of the summer, before a crop is taken in September. We also allow our Welsh Black Cattle to graze other fields as they tend to eat the upper shoots of grass that can engulf the flowers and plants below. In contrast to cattle, sheep graze to the roots and would remove a lot of flower heads and seed pods from a pasture, thus greatly reducing its value to bees and butterflies. We therefore ensure that fields grazed by sheep are surrounded by fields that are left to flourish. 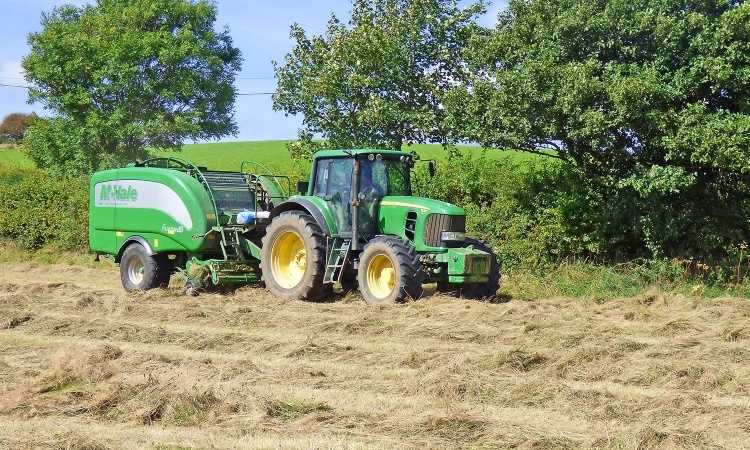 Please be aware that Tyddyn Isaf still actively farms and on occasion agricultural vehicles may pass through the park. 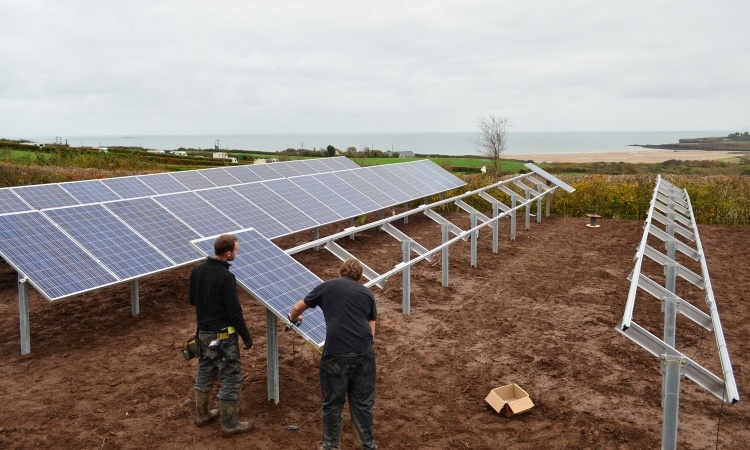 At Tyddyn Isaf we have a 50kW ground mounted solar array system consisting of 200 panels which contain lots of photovoltaic cells. 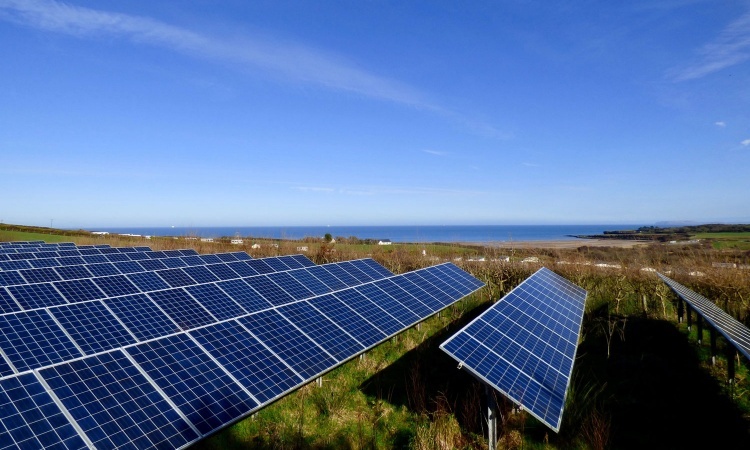 These cells are linked together to form an ‘array’, which is then connected to an inverter. 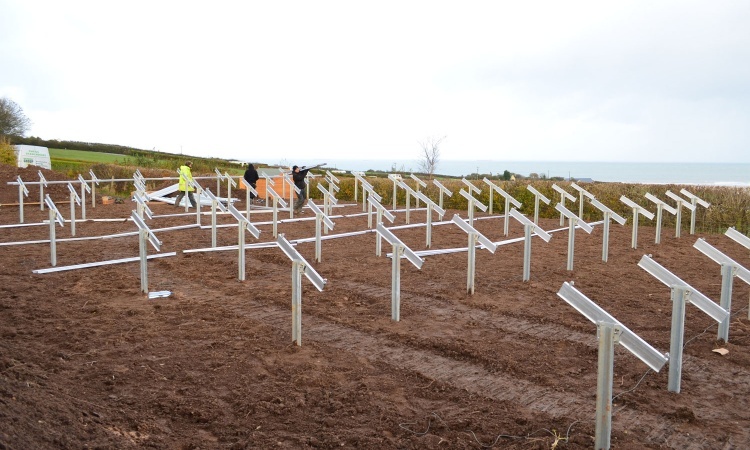 This means that we can produce a maximum of 50kW per hour from our system. 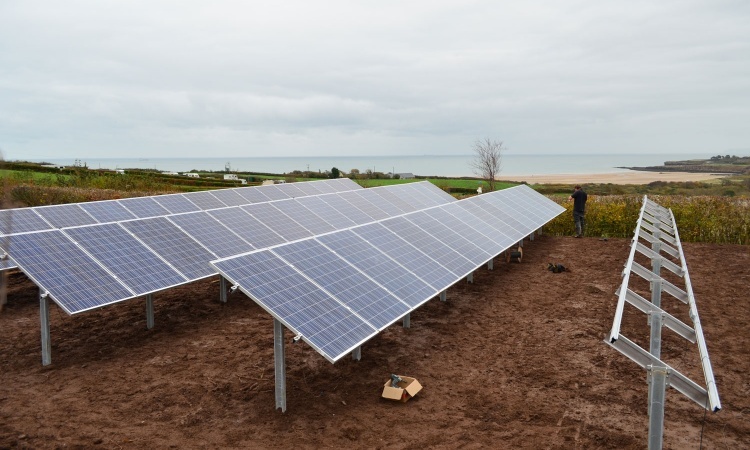 We use the electricity supplied from our solar system to help supply clean areas of the park with clean, green energy. Our system supports our power input into our main building, gym, offices, and some of the toilet blocks across the park. 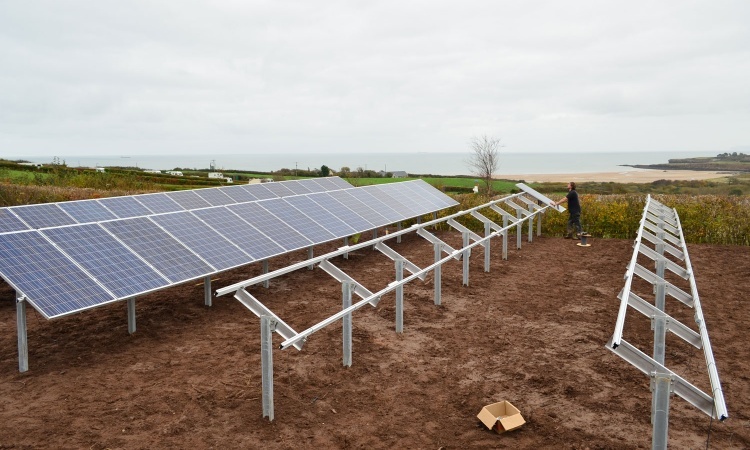 They also help to power our sewage treatment plant.